Axonotmesis: Microscopic division of nerve fibers without obvious discontinuity of nerve sheath. Neurotmesis: Complete anatomic division of the nerve fibers with obvious discontinuity of the nerve sheath. Neuropraxia: There in injury without any anatomical discontinuity but resulting in functional disruption or nerve concussion. It is a local transient conduction blockage along the nerve. As a birth injury, axonotmesis is often extremely frightening. With present day advances in the medical delivery process, there are many precautions that can be taken to lower risk for nerve injury like axonotmesis at birth. However, it must be borne in mind that not all birth related injuries are preventable. Symptoms of axonotmesis include motor and sensory loss due to blockage of conduction by demyelination. There is loss of reflex due to damage to sensory nerves. Atrophy may follow. In addition to general examination, tests may be conducted for systemic diseases such as glucose, kidney functions. 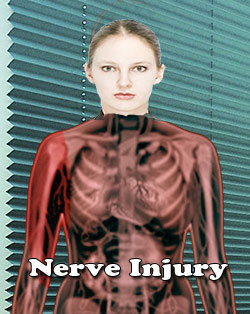 A nerve conduction test is done to determine the extent of the injury. Electromyography is another diagnostic test used in axonotmesis. In axonotmesis a complete absence of sensory modalities takes place. However, the investing sheaths of the nerve remain intact. Therefore unlike neurotmesis, recovery though delayed is likely to take place. If damage to the nerve cells has also caused destruction of the axons, there can be recovery if the supporting structures of the cells are intact. But complete recovery may not be possible. Recovery from axonotmesis can take many months. Depending upon the severity of Axonotmesis injury, full recovery can even take up an entire year. The recovery largely relies upon removal of the compressing force, timely intervention and the ability of the axon to regenerate. Neuropraxia: There is injury without any anatomical discontinuity but resulting in functional disruption or nerve concussion. This is short term or sometimes lasts months with severe compression. Neuropraxia Symptoms : Nerve Damage Symptoms: Common symptoms of Neurotmesis include loss of sensation and change in taste, expression and speech. There might be emotional and psychological disturbances. In the final stages, there could be a complete loss of motor, sensory and autonomic functions. Special tests for assessment of Neurotmesis include electromyography, Strength duration curve, nerve conduction study and thermography. EMG test will be able to determine the presence, location and access the extent of diseases that caused the damage to the nerves and muscles. In some cases, a nerve biopsy may be needed where a small minute portion of the damaged nerve is surgically removed and analyzed. Prognosis: Recovery from trauma is dependent on the age of the patient, type of injury and degree of injury. Without surgical intervention and repair this injury has very poor prognosis. Even with surgical repair, there could be significant loss of motor and sensory neurons which are responsible for normal conduction.